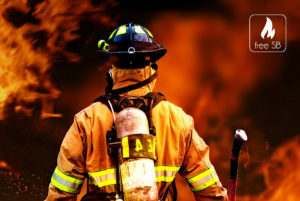 Today, the rubber used for firefighters’ footwear contains halogen additives or compounds very resistant to the flame. However, during the combustion of these materials toxic by-products are released, presenting serious health and environmental threats. These compounds are usually banned in Europe but an exception is made because of the lack of alternative. 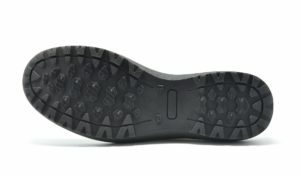 Innovation: The CTCR, EARTO member through FEDIT, developed an innovative halogen-free rubber sole which contains new materials of low toxicity and not harmful towards the environment. These new materials enable the replacement of hazardous compounds used for firefighters’ footwear and provide all the necessary properties to fulfill the current regulation. Impact Expected: By eliminating the harmful effect of hazardous compounds, this new technology makes an environmental impact reduction of 74.2% compared to current fireproof soles according to relevant ISO standard, with a carbon footprint 30% lower. The sale of this new product should start in 2017. A growth in sales of around 100% and a complete return on investment is expected within the next 3 years. This innovative rubber can also be applied to other sectors. CTCR, the Footwear Technology Centre of La Rioja in Spain, is an RTO member of FEDIT. Its main mission is to increase the competitiveness of businesses creating added-value.